One pronounced feature of early Western life is the transient and migratory character of the population. It is astonishing what distances were traveled by the bold men who followed the mining stampedes all over the wilderness of the upper Rockies, in spite of the unspeakable hardships of a region where travel at its best was rude, and travel at its worst well-nigh an impossibility. The West was first peopled by wanderers, nomads, even in its mountain regions, which usually attach their population to themselves and cut off the disposition to roam. This nomad nature of the adventurers made law almost an impossible thing. A town was organized and then abandoned, on the spur of necessity or rumor. Property was unstable, taxes impossible, and any corps of executive officers difficult of maintenance. Before there can be law there must be an attached population. The lawlessness of the real West was therefore much a matter of conditions after all, rather than of morals. It proved above all things that human nature is very much akin, and that good men may go wrong when sufficiently tempted by great wealth left unguarded. The first and second decades after the close of the Civil War found the great placers of the Rockies and Sierras exhausted, and quartz mines taking their place. 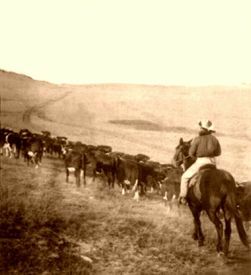 The same period, as has been shown, marked the advent of the great cattle herds from the South upon the upper ranges of the territories beyond the Missouri River. By this time, the plains began to call to the adventurers as the mines recently had called. Here, then, was wealth, loose, unattached, apparently almost unowned, nomad wealth, and waiting for a nomad population to share it in one way or another. Once more, the home was lacking, the permanent abode; wherefore, once more the law was also lacking, and man ruled himself after the ancient savage ways. By this time frontiersmen were well armed with repeating weapons, which now used fixed ammunition. There appeared on the plains more and better armed men than were ever known, unorganized, in any land at any period of the earth’s history; and the plains took up what the mountains had begun in wild and desperate deeds. The only property on the arid plains at that time was that of live stock. Agriculture had not come, and it was supposed could never come. 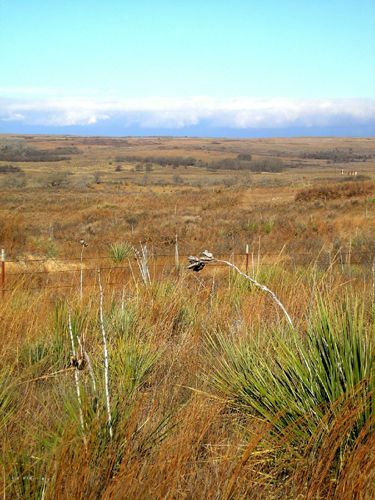 The vast herds of cattle from the lower ranges, Texas and Mexico, pushed north to meet the railroads, now springing westward across the plains; but a large proportion of these cattle were used as breeding stock to furnish the upper cow range with horned population. Colorado, Wyoming, Montana, western Nebraska, the Dakotas, discovered that they could raise range cattle as well as the southern ranges, and fatten them far better; so presently thousands upon thousands of cattle were turned loose, without a fence in those thousands of miles, to exist as best they might, and guarded as best might be by a class of men as nomadic as their herds. These cattle were cheap at that time, and they made a general source of food supply much appreciated in a land but just depopulated of its buffalo. For a long time it was but a venial crime to kill a cow and eat it if one were hungry. A man’s horse was sacred, but his cow was not, because there were so many cows, and they were shifting and changing about so much at best. The ownership of these herds was widely scattered and difficult to trace. A man might live in Texas and have herds in Montana, and vice versa. His property right was known only by the brand upon the animal, his being but the tenure of a sign. The old fierro or iron mark of the Spanish cattle owner, and his “venta” or sale-brand to another had become common law all over the Southwest when the Anglo-Saxon first struck that region. The Saxon accepted these customs as wise and rational, and soon they were the American law all over the American plains. The great bands of cattle ran almost free in the Southwest for many years, each carrying the brand of the owner, if the latter had ever seen it or cared to brand it. Many cattle roamed free without any brand whatever, and no one could tell who owned them. 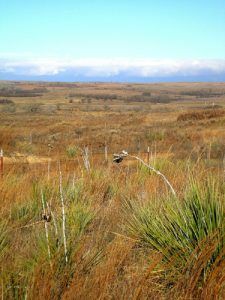 When the northern ranges opened, this question of unbranded cattle still remained, and the “maverick” industry was still held matter of sanction, there seeming to be enough for all, and the day being one of glorious freedom and plenty, the baronial day of the great and once unexhausted West. Now the venta, or brand indicating the sale of an animal to another owner, began to complicate matters to a certain extent. A purchaser could put his own fierro brand on a cow, and that meant that he now owned it. Here was the origin of the bill of sale, and also of the counter brand or “vent brand,” as it is known upon the upper ranges. The owner duplicated his recorded brand upon another recorded part of the animal, and this meant his deed of conveyance, when taken together with the bill of sale over his commercial signature. Of course, several conveyances would leave the hide much scarred and hard to read; and, as there were “road brands” also used to protect the property while in transit from the South to the North or from the range to the market, the reading of the brands and the determination of ownership of the animal might be, and very often was, a nice matter, and one not always settled without argument; and argument in the West often meant bloodshed in those days. Some hard men started up in trade near the old cattle trails, and made a business of disputing brands with the trail drivers. Sometimes they made good their claims, and sometimes they did not. There were graves almost in line from Texas to Montana. It is now perfectly easy to see what a wide and fertile field was here offered to men who did not want to observe the law. Here was property to be had without work, and property whose title could easily be called into question; whose ownership was a matter of testimony and record, to be sure, but testimony which could be erased or altered by the same means which once constituted it a record and sign. The brand was made with an iron, and it could be changed with an iron. A large and profitable industry arose in changing these brands. The rustler, brand-burner or brand-blotcher now became one of the new Western characters, and a new sort of bad-manism had its birth.